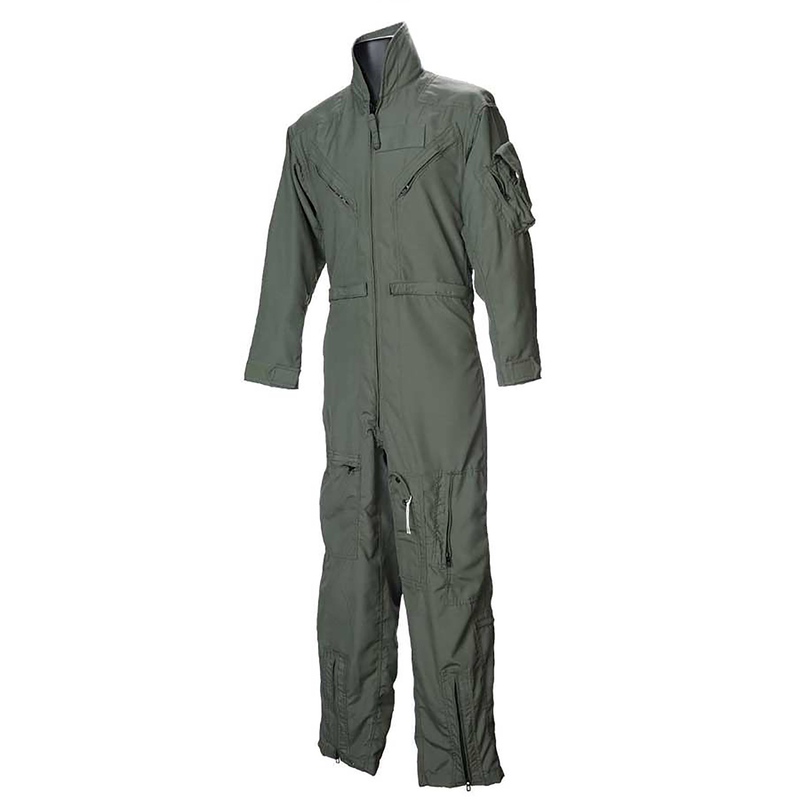 27/P Flight Suit:Barrier Wears CWU 27/p 4.5 oz Summer weight Nomex flight suits are built to military specification MIL-C-83141A. Constructed of 92% Meta Aramid, 5% Para Aramid and 3% conductive fiber fabrics, which make this garment flame-resistant. Features a two-way zipper with pull, six primary pockets, adjustable waist belt with Velcro. , knife pocket on the left inseam, pencil pocket on the left sleeve and a gusseted back.